Yaganti is famous for the Sri Yaganti Uma Maheswara Swamy Temple. It was constructed by the first Vijayanagara Sangama King Harihara Bukka Rayalu in the 15th century. The temple is in Kurnool District in the Indian state of Andhra Pradesh. The devotees here believe that the Nandi idol in front of the temple is continuously increasing its size. 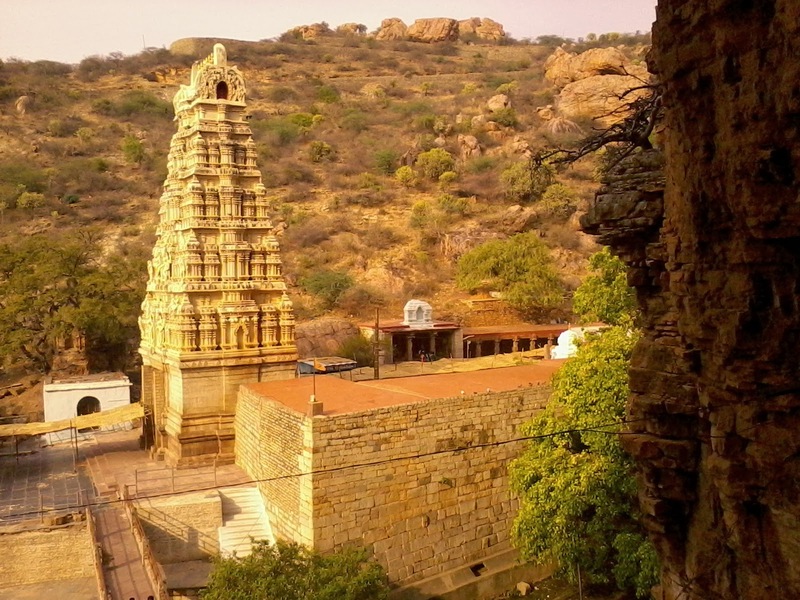 Yaganti Temple, popularly known as Sri Yaganti Uma MaheshwaraTemple, is located in the Banaganapalle mandal of Kurnool district of Andhra Pradesh. It is situated 77 km away from its district headquarters. It is one of the ancient temples and people from all over the country come to this place to feel the scenic and divine beauty of the temple. Lord Shiva, Goddess Parvati and sacred bull, Nandi, are the presiding deities of this temple. According to a legend, Sage Agastya found this beautiful place called Yaganti during his Dakshin Desha Yatra. He wanted to build a temple for Lord Venkateswara on this holy site. He roamed around the caves and found a very old idol of Lord Vishnu. He performed Yagna and pooja before installing the idol. But during this process, he found out that the toe nail on the foot thumb finger of the idol is broken. On seeing this, the sage got upset and did a penance for Lord Shiva. Due to his pure devotion, Lord Shiva appeared and told him that this place contains natural springs, which resemble Kailash, so here only I can be worshipped. The sage then requested Lord Shiva to reside in this holy abode with his consort Goddess Parvati and, therefore, Lord obliged to his request. The main shrine contains Lord Shiva and Goddess Parvati engraved on a single stone. Hence, this temple came to be known as Uma Maheshwara Temple. This temple is believed to be constructed during 15th century under the reign of King Harihara Bukka Rayalu of Sangama Dynasty of Vijayanagara Empire. The most amazing feature of this temple is its Pushkarini. It is a small pond inside the temple premises. The water comes from the nearby hills and reaches the pond all year around. It is considered highly sacred to take a dip in this holy pond before paying tribute to Lord Shiva. Yaganti Caves are situated in very close vicinity to the temple and are three in number. 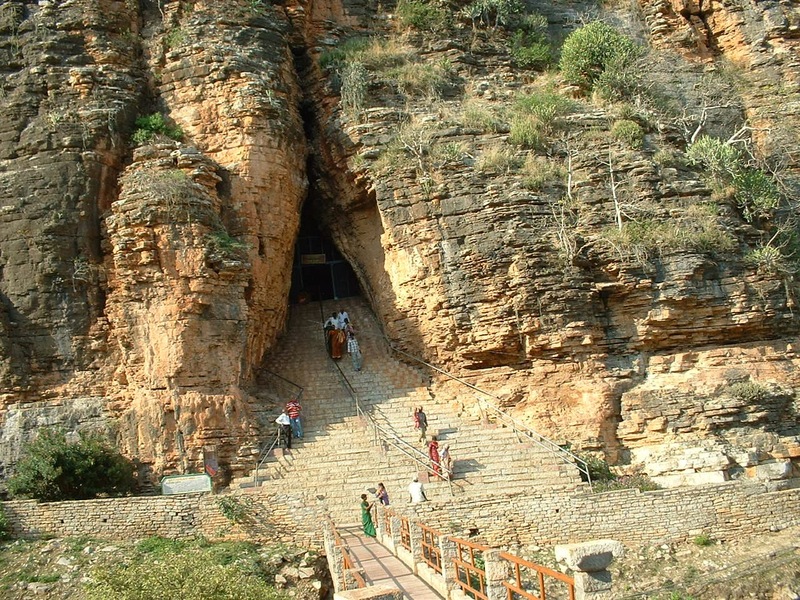 The first one is the Agastya Cave, where Sage Agastya did penance to seek the blessings of Lord Shiva. You have to climb 120 steep steps to enter the cave. There is also an idol of Goddess here which is also equally worshipped. The next one is the Venkateswara Cave, where you can still have a glimpse of damaged idol of Lord Venkateswara. The idol is not worshipped because of that damaged portion. This idol is said to be existed even before the Tirupati Temple came into existence. 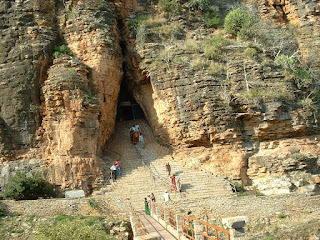 Though the steps are very sharp, it is easier to reach here in comparison to the Agastya Cave. And the third one is the VeeraBrahmam Cave. It is at this place where Sri Potuluri Veera Brahmendra Swamy wrote Kala Gnaanam, his prophecy. While entering, one needs to bend very short as the height of this cave is very short. 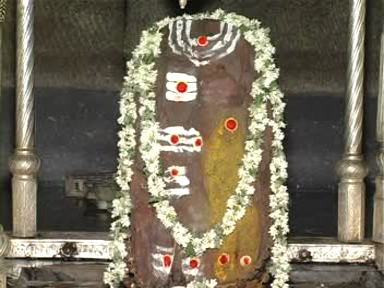 Devotees and the locals believe that the Stone idol of Nandi is continuously increasing in size. According to Archaeological Survey of India, the idol is growing at a rate of 1 inch per 20 years. 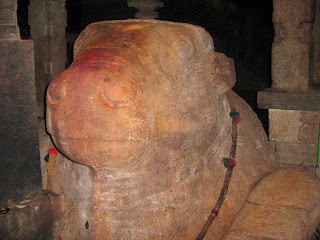 It is also believed that this stone Nandi will come alive and shout when Kali Yuga ends. One interesting thing you will notice here is the absence of crows. It is said that when Sage Agastya was doing intense meditation, crows disturbed him. Therefore, he cursed the crows and banished them from coming anywhere near Yaganti. Hyderabad airport is the nearest one, 290 km away from the temple and is well connected to the major cities of India and abroad. The nearest railway station is at Nandyal, 48 km away and is well linked with major cities of India. It lies on Vijayawada-Guntakal rail route. APSRTC operates regular bus services that ply to Yaganti from Kurnool, Banaganapalle and other major towns nearby. The best way to reach here is by your own means of transport like car or a private taxi.